Inflammatory Bowel Disease : A Clinician'S Guide Second Edition (Hb): 9780340807279 Hardcover - LIMEROCK BOOKS INC. The study of inflammatory bowel disease is one of the most rapidly changing fields within gastroenterology. The revision of this successful title highlights the radical changes in therapy which are poised to affect clinical practice - particularly with the release of therapeutic agents (such as TNF antibodies). 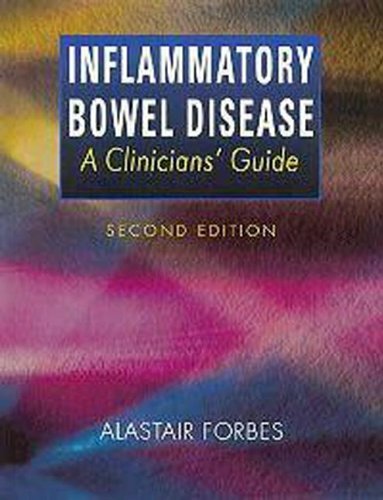 Clinicians' Guide to Inflammatory Bowel Disease presents current knowledge in a compact and user-friendly format allowing physicians who treat gastrointestinal disease to take full advantage of up-to-date research information whilst emphasizing clinical guidance and therapeutics.<br />This second edition has been extensively revised and several chapters have been completely rewritten. The book follows the 'Clinicians' Guide' format and is written in a digestible style with an attractive layout. In addition to rigorous revision of the text - the provision of new pictorial material and clinical algorithms will aid physicians' knowledge. This revised version covers all the important aspects of inflammatory bowel disease whilst highlighting new developments in therapeutics and immunological manipulation. Alastair Forbes is at St Mark's Hospital Middlesex.